It is a pleasure to introduce to the market for the first time a much loved family home. The decision to sell this delightful home has not been an easy one. Positioned in one of Shortland most sought after streets, the home is solid weatherboard and tile with a bullnose front verandah, three bedrooms, two bathrooms and double garage plus carport. When entering the home you will be pleasantly surprised by the light filled, open lounge. There is new flooring, a split system air conditioner and combustion wood fire. The dining area has pleasant views over the back yard with a northerly aspect. 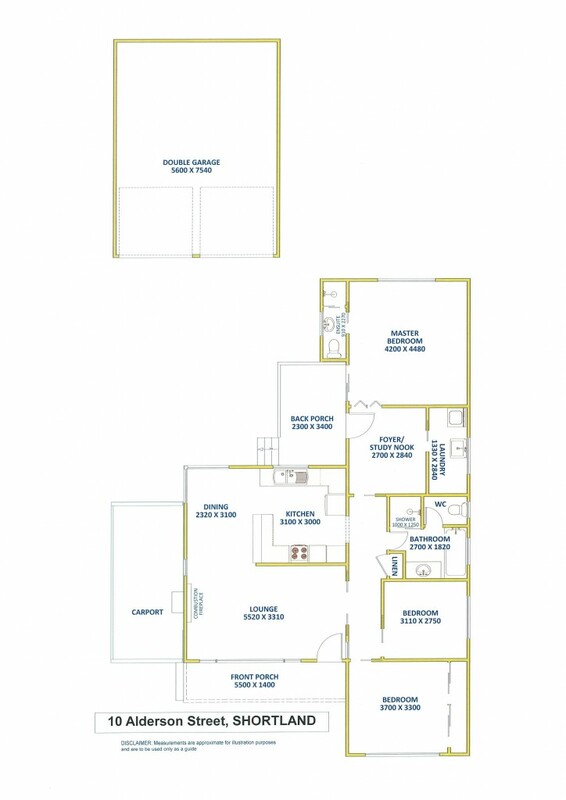 All three bedrooms are an excellent size with the master bedroom offering an ensuite, new air conditioning and sliding glass doors to the back porch. Bedrooms two and three are queen size and have full size built-in wardrobes. Storage is not an issue with plenty of cupboard space, a study nook and large laundry as well. Kitchen facilities are central with an electric stove and oven, range hood, well maintained cupboards and open bench space that would suit any budding chef. In the main bathroom you will find a full sized bath with separate shower and spacious vanity. This is a property that has always had a yearly maintenance program with items like gutter guard, solar hot water, sealed tile roof, fresh paint to name some of the advantages of buying this much loved home. Set on a 590m2 block with a single carport, double lockup garage and an easy to maintain yard.